Am I the only one who ever wanted to burn highlighters? After countless hours of reading textbooks in college, I had an urge to destroy highlighters. They reminded me of my need to analyze technical passages of text. Of comprehension earned after rereading a paragraph several times. My grueling study paid off. Graduation day came. No more required reading. I could choose which books to read. Leisure reading became a passion. Especially the Bible and devotional books. 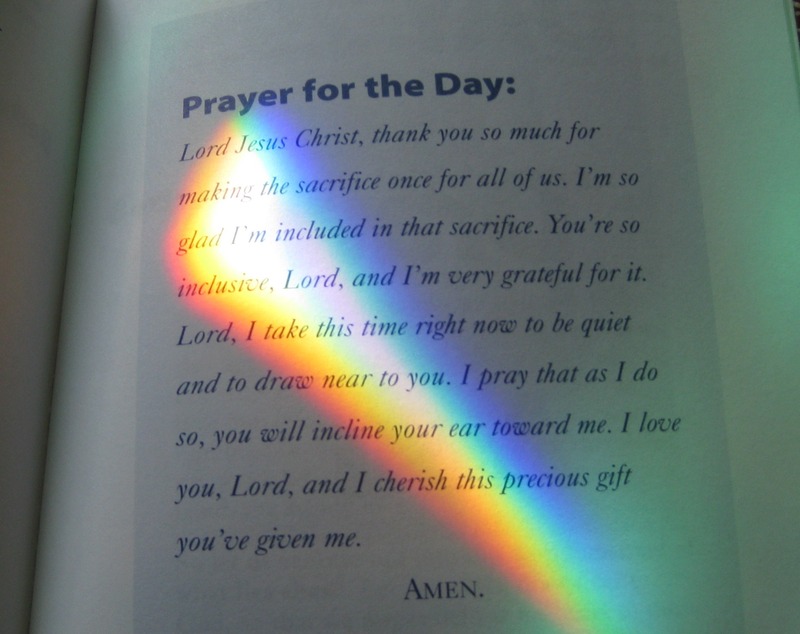 One morning as I read my devotional book, a rainbow spread across the page. As if God highlighted it with His multi-colored light. It came from the crystal I placed near my window. Often it splashed a kaleidoscope of colors in my kitchen each morning. On the walls, on the floor, on the counter…Never before did it light up the page of my book. It got my attention. I reflected on the welcome distraction. Thanks to Isaac Newton, we know that the spectrum of colors always exists in white light. A prism simply separates the colors to reveal their beauty. It’s the same way with leaves. Some colors are hidden. In the fall, conditions are just right for the chlorophyll (green color) to give the other colors a turn. Less light leads to less chlorophyll. Carotenoids then have their chance to reveal yellow, orange, and brown—colors that were there all along, but masked by the chlorophyll. Anthocyanins can be produced so some leaves can display red. Life raising a child with mental illness (MI) can seem very dark at times. Thankfully, God draws back the veil so we can get a peek of His exquisite Creation…evidence of His power and love. Don’t we all seek to know God more? 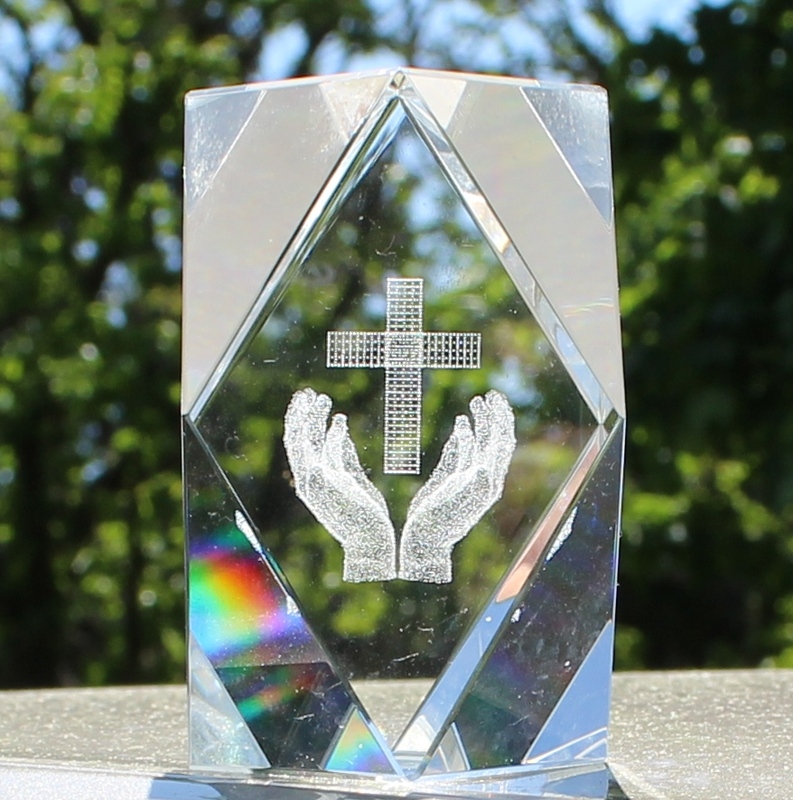 Don’t we hope to find favor with God? Wouldn’t we love to have that assurance? That God’s presence WILL go with us. And He will give us rest. Happily, we do share that assurance. Though our journey seems lonely, we’re not alone. He’s with us. Though our journey is exhausting (mentally, emotionally, physically), we have access to His rest. Although Moses wasn’t able to see God’s face, God allowed him to catch a glimpse of His back (Exodus 33:20-23). Moses’ example emboldens us to ask God for evidence of His presence. In your dark place, ask God to reveal Himself. To give you tangible evidence He’s walking with you. So you know you’re not alone. Then watch for it. The rainbow lightshow which splashed across my devotional book, though mesmerizing, can’t compare to the light we’ll see someday in heaven. Where there will be an end to darkness. Listen to Light of the World (Tim Hughes) and reflect on His amazing love for you. ← What must it be like?